While for many people the idea of grooming your pet brings up nightmares of brushes and bows, it is in fact a vital element to their overall health and well being. Grooming is about maintaining both your pet’s physical health as well as their appearance. We use the highest quality products and we spend the time necessary with each pet to ensure they have have a safe and enjoyable stay at our facility. 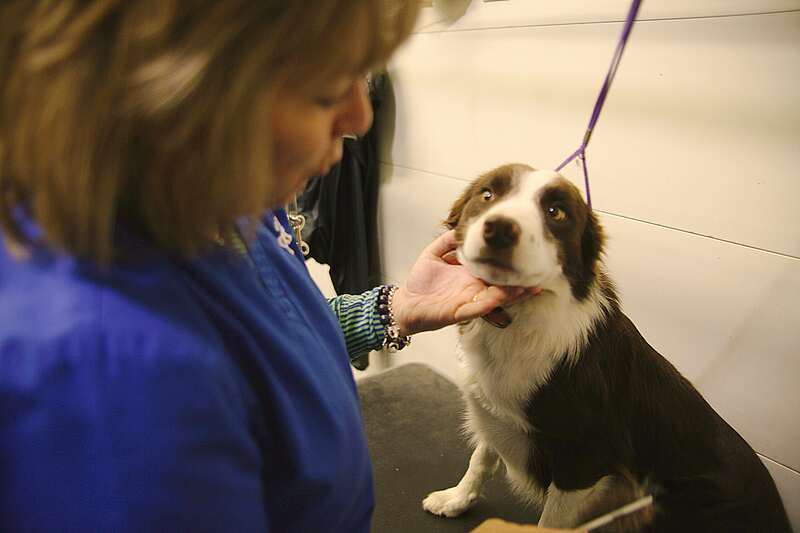 Here at OVS, we offer full-service pet grooming three times a week! Regardless of breed, size and age, all dogs and cats can enjoy our services.